Captured weapons used by the Germans (with their new designations) included the Belgian 7.65mm Mitrailleuse “Maxim” (7.65mm s MG 221), Lithuanian 7.92mm (7.9mm s MG 248[r]), Polish 7.92mm Maxsim 08 (7.9mm s MG 248[r]) and Yugoslav 7.92mm Mitralez 7.9mm M8M (7.9mm s MG 248[j]). 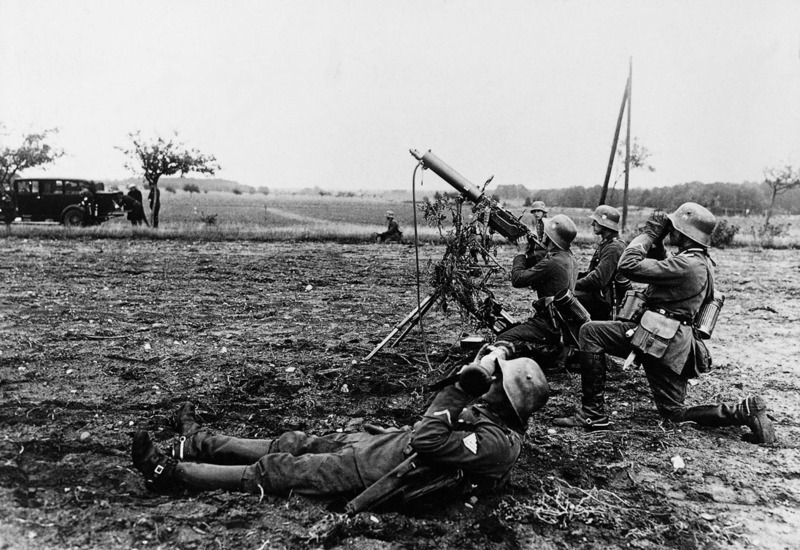 The leichte MG 08/15 was a lightened version of the s MG 08 that kept its predecessor’s mechanism and water-cooling, but was fitted with a bipod rather than being installed on a heavy tripod, and had a pistol grip and shoulder stock in place of the s MG 08’s pair of spade grips. Turning the scales at a hefty 18kg (39.7lb), the le MG 08/15 was still in first-line service in 1939 but had been retired to second-line use by 1941. Captured weapons used by the Germans included the Belgian 7.65mm Mitrailleuse “Maxim” légère (7.65mm le MG 125), Soviet 7.9mm Rutschnoi pulemet “Maksima” obrazets 08/15 (7.9mm le MG 145[r]), and Yugoslav 7.9mm Leki-Mitralez M8/15M (7.9mm le MG 145[j]).